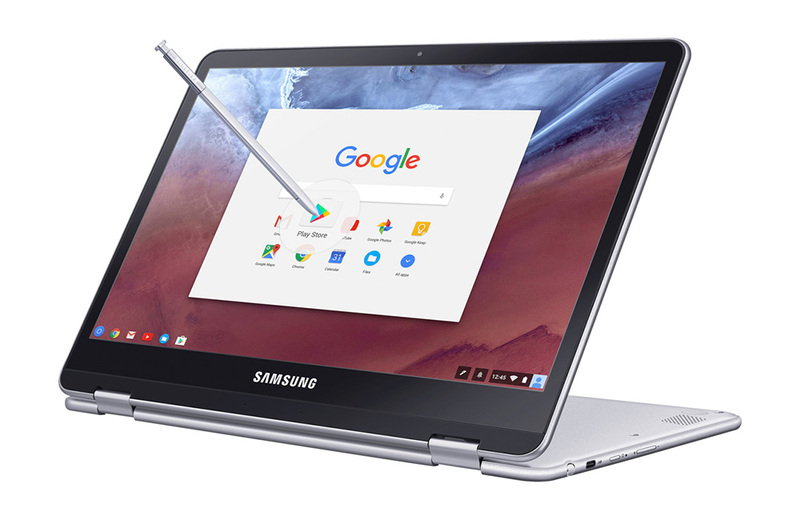 The Chromebook Plus from Samsung is now listed in the Google Store, as well as other retailers, but isn’t quite ready for purchase. If you can hold out just a couple more days, though, it should be available starting February 13, priced at $449. For specs, the Chromebook Plus features a 12.3″ LED touchscreen display (2400×1600), ARM OP1 hexa-core processor (designed specifically for Chromebook machines), 4GB LPDDR3 Memory, 32GB e.MMC hard drive, 39Wh battery (around 8 to 9 hours of life), 720p webcam, two USB Type-C ports, SD card support, S-Pen stylus, and access to Google Play for using all of your favorite Android apps. Should you want to wait for the Chromebook Pro and its Intel Core M3 Processor 6Y30 ($549), you will have to hang tight as Samsung hasn’t yet confirmed an exact release date. If waiting to order on the Google Store is no good, you can also preorder the device through various retailers, such as Amazon, Best Buy, Newegg, and others. Who is picking one up?